Key Difference: A physician is a medical practitioner who practices general medicine and can also be known as a specialist in internal medicine. On the other hand, a surgeon is the specialist who has been trained and certified to carry out surgeries, which involves cutting open the body. Physicians and surgeons are both medical practitioners. Physician is a practitioner of general medicine. They can also be referred to as specialists in internal medicine. A physician diagnoses diseases and injuries and then provide the treatments. The word has been first used in early 13th century. The word has been derived from Latin physica ("natural science"), from Ancient Greek φυσική επιστήμη (knowledge of nature). Apart from the minimum educational qualification, it requires detailed understanding of anatomy, physiology, disease and treatment, in order to be a physician. 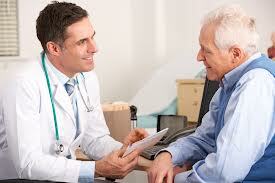 The word physician is used to refer to any medical doctor who does not specialize in surgery. 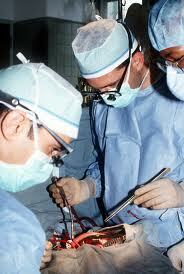 A doctor who specialized in surgery in order to treat disorders or diseases is known as a surgeon. Therefore, a surgeon can be seen as a specialist dealing with surgeries. These specialists can be any of the physicians, dentists, podiatrists or veterinarians. The difference between a physician and surgeon is that a physician treats illness with medication. On the other hand, a surgeon carries out a surgery (medical treatments that involve cutting open the human body) for dealing with the problem. Surgeons are further specialized in their selected fields. For example a cardiothoracic surgeon performs cardiovascular procedures like heart valve repair. A cancer surgeon handles issues like removes cancer tumor sites. Physicians first examine patients by considering their medical histories. They may also prescribe or perform some diagnostic tests before prescribing medication. A physician also works as a counselor by providing information on diet, hygiene and preventive healthcare for some patients. On the other hand, Surgeon basically operates on patients. These operations or surgeries are done to treat complications like broken bones, diseases like cancerous tumors an many more. It is important to mention that the term "Physician and Surgeon" is used for referring to a general practitioner or any medical practitioner without considering the area of specialty. A surgeon can be seen as a specialist dealing with surgeries. These specialists can be any of the physicians, dentists, podiatrists or veterinarians. From Old French cirurgien from cirurgie, "surgery"